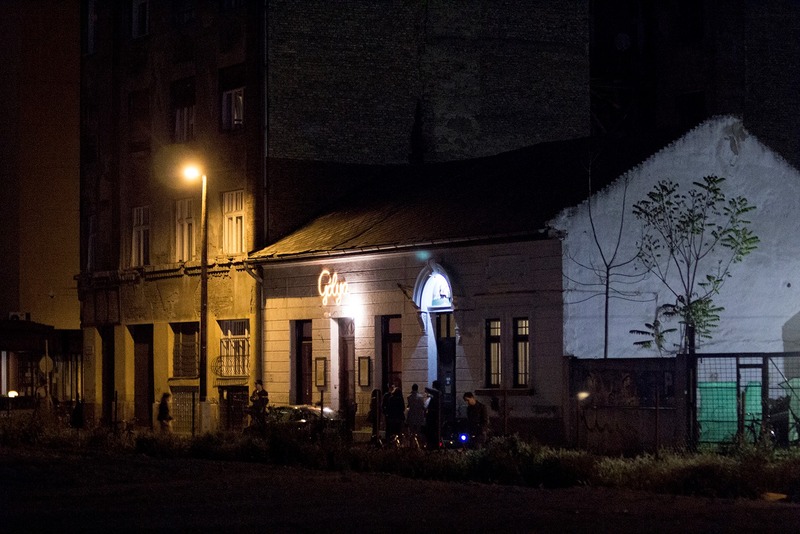 The conference venue will be held at the historical building of the ‘Gólya’ (Stork) community centre and co-operative bar in the inner city area of Budapest. The intimate atmosphere of the place and the limited number of participants will provide ground for intensive discussions. Gólya („Stork” in Hungarian) is a co-operative bar and community house in the 8th district of Budapest, Hungary. It has a large inner space with a garden, a separate office space, a room for arts and crafts, and an attic that primarily serves as a movie theater. It also has several basements that await potential public use in the future. The bar and kitchen provide a wide selection of drinks and meals, including daily lunch menus every weekday. 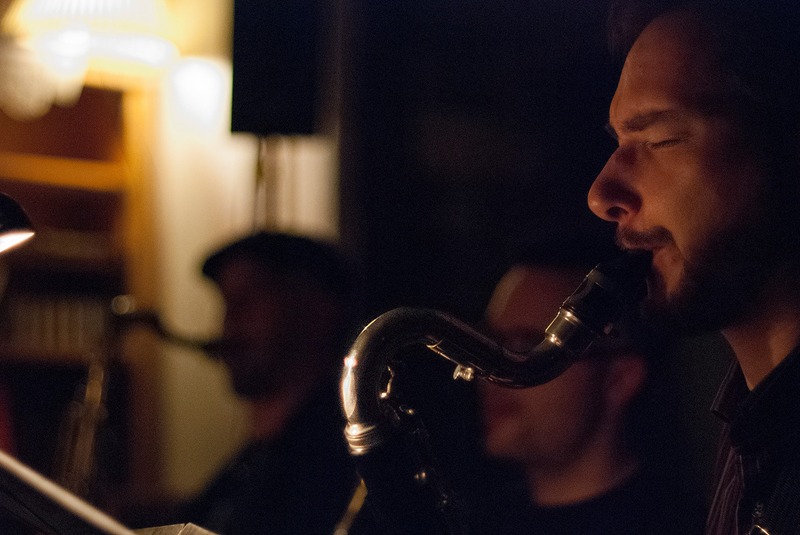 There are live music events every week, with other programs such as film clubs, presentations, lectures, discussions, board game playing, art exhibitions, and regular exchange markets for used products. Gólya hosts both public and closed events of groups or organizations, such as birthdays, proms, conferences, fundraisings, trainings, and meetings of all sorts, including political events. The cooperative enterprise of Gólya has its roots in a previous project, a café situated in the inner city area of Budapest, Frisco Café. The cooperative of Frisco was founded in 2011. The group that ran the place decided to move to a larger site due to the increased size of the community and the need for an extended infrastructure. The new team assembled in 2013 and opened Gólya in the September of 2013. The project started with eight people, forming a cooperative. With several people leaving and others joining, now (as of June, 2015) there are six co-op members and nine non-member workers in different positions by working hours, commitment and field of work. There is an organizational expansion coming next fall with several non-members becoming members. The Gólya project is strongly intertwined with a working group of young social scientists called „Helyzet Műhely” (“Situation” Working Group for Public Sociology). They are regular users of the office space in Gólya, and organize public events, such as film clubs, lectures and discussions, to disseminate knowledge and critical perspectives on Eastern-European positions embedded in the global capitalist system. 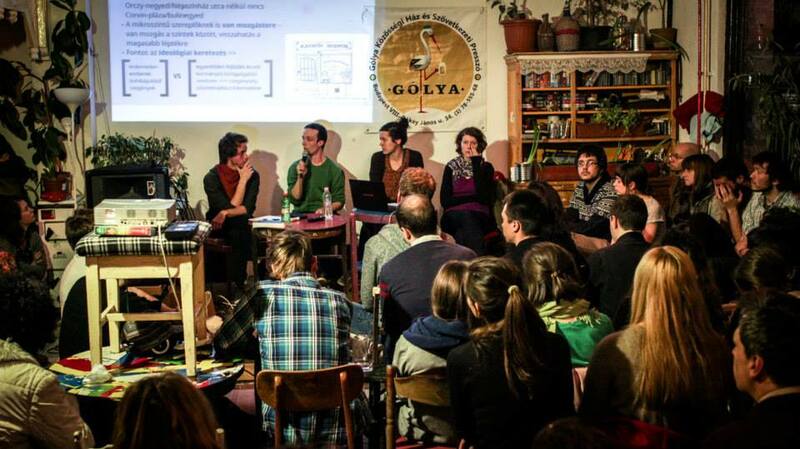 This group is the closest partner of Gólya, although a cooperation network has been formed by other groups and organizations, in which the co-op provides space, services and audience, while the other parties organize programs, usually on social and political issues important for Gólya. As the enterprise developed over time, it became able to provide full-time workers with a basic living, since previously it could only pay subminimum wages which required great self-determination and intensive volunteering. 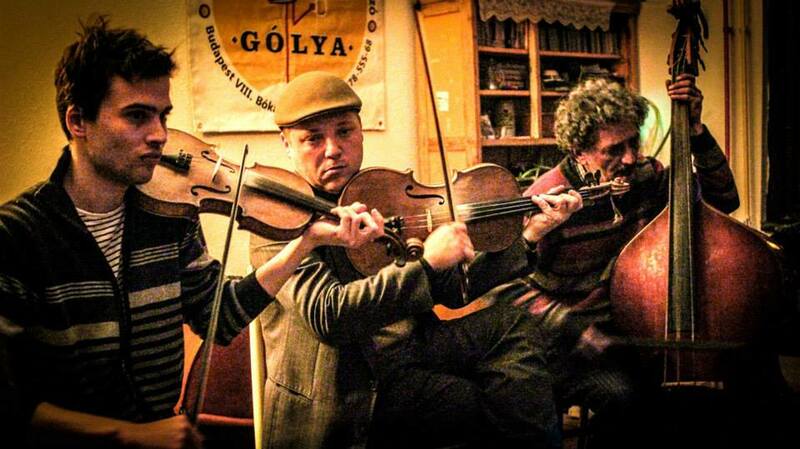 „Gólya” itself has a long and rich history. The place was built in the 1880’s, and has always been called Gólya, and was originally intended to be a bar. It became an integral part of the 8th district, which served as the home of workers and artisans in the 20th century. After the system shift of 1989 and the following austerity and restructuring of the economy, most of the district’s residents lost their jobs and livelyhoods, and Gólya was also closed down. It hasn’t been re-opened as a bar until 2013. In the 90’s the 8th district became a stigmatized ghetto of a new underclass, formed by people who lived there before and migrants coming from rural Hungary or abroad. There is also a large proportion of gypsy residents, and sadly the stigma surrounding the district is ethnicised. The 8th became an isolated part of the city, structured by extended family relations, community networks and competing gangs or families. Social distress in the neighbourhood developed its own social rules in the context of extreme poverty, crime and drug use. However, in the middle of the 2000’s, a joint real estate development project of the district municipality and a private firm (public-private partnership) with a budget of hundreds of millions of euros started the redevelopment of the neighborhood. It is called „Corvin Project.” In the first phases of the project they had built an office building, a mall, a promenade and residential buildings with relatively expensive flats. This process involved the eviction of a number of residents and the demolishment of many old buildings, and initiated a process of gentrification. However, the 2008 crisis halted the project because of consequent financial problems. The area is increasingly gentrifying, which is only slowed by the specialities of Eastern European home property structure and other factors. In 2014, they started the construction of another office building, right next to the building of Gólya, which was – for the time being – taken off of the development plans. 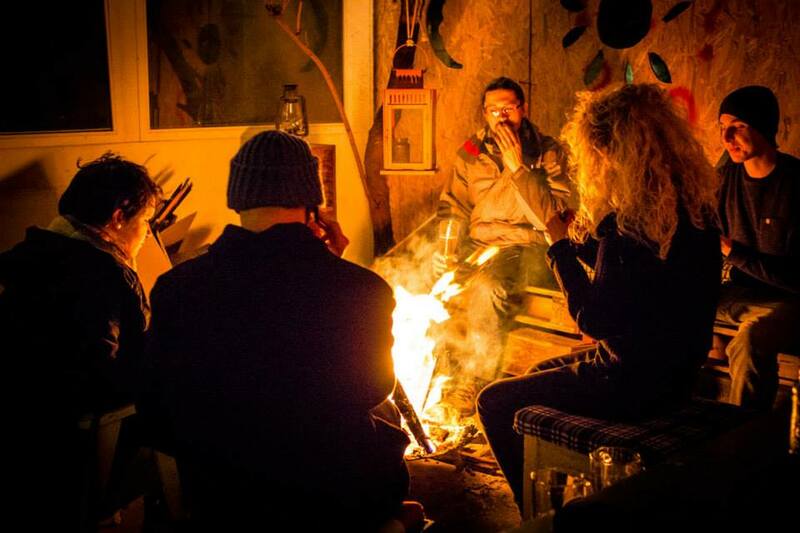 In the next phase, many more people face eviction and further existential instability, while new residents are moving in from other parts of town, coming from a higher, upper-class social strata. 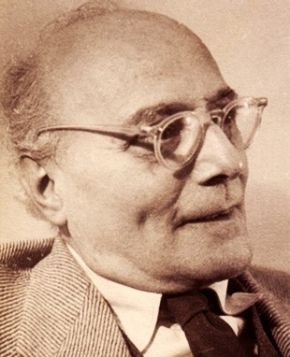 The methods of organization have been developing organically since the 2011 foundation of the Frisco collective, which was the direct predecessor of Gólya. These methods emerged from the need to include people into enterprise ownership, in order to disperse the economic burden and to motivate everyone to become collectively responsible and to maximize their efforts, because of the lack of available capital. The members never really looked for already existing co-ops for adapting solutions, however, with the gradual consolidation of their operational methods or rules and economic relations, these became very similar to internationally known collective principles. During the spring of 2015, the collective performed a thorough reform of rules in membership and the economic relations of the enterprise. This reform states the co-op’s current set of principles. 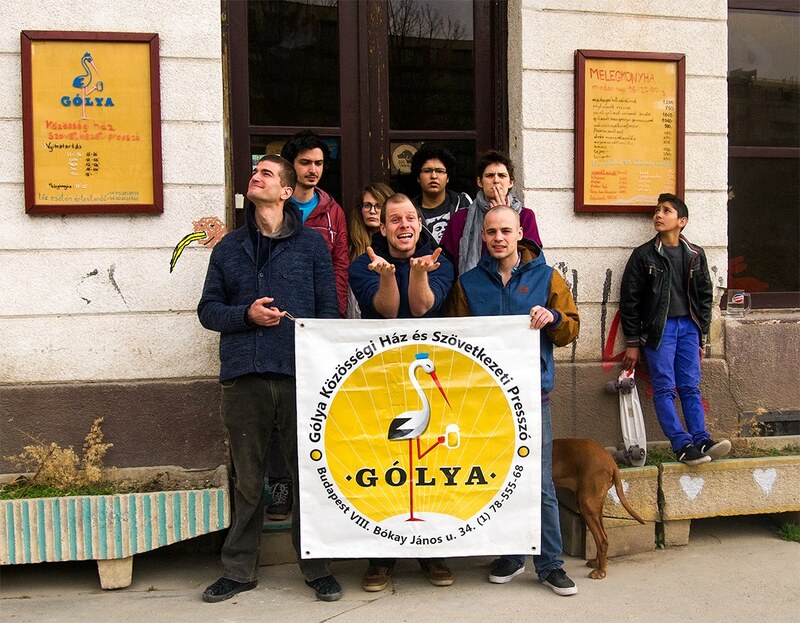 To become a member (owner-worker) requires an amount of time spent working at Gólya, together with an initial cash investment (buying shares) and the univocal respect of current members. However, it is possible to work at Gólya without becoming a member, which entails wage payment, but not in a fixed employee position, and allows less collective social security and involvement in decision-making. Members (and only members) own shares, which cannot be bought or sold. Shares can be obtained with cash investment and time spent working in the cooperative (in the near future, all members should have an even amount of cash investment in the enterprise). Shares represent the capital value of the enterprise, and the share package of a member represent the member’s contribution. If a member decides to leave, one receives half of the nominal value of their total shares over the time of six months. (If they had worked enough in the co-op, this results in a higher sum of money than their original cash investment.) Payments are based on profit, and shared in two steps: half of a month’s profit is distributed equally (each member receives an equal share), and the other part is distributed based on shares. This means that older members gain more than newer members, since they also invested more labor in the enterprise. This difference between payments however is not linear, as it decreases over time. Nevertheless, there is a minimum wage which is paid regardless of a month’s profits to every member. Book-keeping is based on tables and algorythms that members can check and follow over time, and a member is appointed to manage the co-op’s finances. Membership also comes with social benefits, such as food and drink provision, vacation, maternity/father’s leave, sick leave, and special considerations for studies or other personal needs. Members need to work at least 40 hours a week, of which at least 16 hours must be physical labor (tending the bar, working in the kitchen, or cleaning the place). The rest is specialized work that is managed by a system of working groups responsible for different areas of activity, such as organizing programs, marketing, logistics, finance and bureaucracy. They must be present on weekly assemblies and monthly meetings dedicated to strategic planning and team-building. Organization of production and the collective itself is managed at the working group level (meetings, mailing lists) and the weekly assembly of members. Every second meeting is open to non-member workers who can present their issues and also have a chance to influence decisions concerning the operation of the enterprise. Each member has one vote, regardless of the percentage of shares that one owns, however, decision-making is consensus-based, and regularly concludes in some kind of compromise between different suggestions or opinions. Members also have the right to veto a decision. Members are responsible for each other, the enterprise and the social mission of the co-operative. If a member causes damage with obvious responsibility for it, the members can pass on its costs to them. If the enterprise failed somewhere, the incurred loss would be shared equally between all members, since responsibility is shared collectively. The Gólya project is constantly analyzing the local environment and the wider social structures they are integrated in, trying to understand its own position and role as clearly as possible, in order to plan its strategies reflexively. Based on this, the declared mission of the co-op is threefold. Above all, it concentrates on maintaining and developing a working co-operative model of organization and production that can assure members’ control over the means of production, the well-being of members and their long-term safety. The Gólya team wishes to make their model transparent and open to the public, and they also wish to co-operate with similar projects in Hungary and internationally, to share their knowledge and maybe take the organization to a higher level. By understanding the possibilities and restraints of collective ownership and production under capitalist conditions, they wish to propagate working models of economic co-operation. The second goal is to maintain a space for partner groups, projects and organizations, which help achieving their own purposes. The Gólya team wishes to mediate between these different groups, to communicate their agendas, and to support the formation of a wider social movement. In order to help this happen, they hold regular „community meetings” for their audience and partner organizations. The third goal is connected to the process of gentrification in the neighborhood. The co-op realized that with their limited assets, they cannot bring significant change to what’s happening (against the political power of the municipality and the economic power of the real estate development firm), and they also realize that as a newly opened bar with an audience of inner city youngsters, it is also part of the „pioneer wave” of gentrification. However, while perceiving these limits, they wish to cooperate with other organizations that work against gentrification and housing poverty, and to alter their negative effects. They also wish to communicate the actual structural mechanisms of gentrification to 8th district locals and others, in opposition to the rosy promises about progress and prosperity.